Looking for an alternative to roof coating systems? Do you need a roofing solution that's built for decades of reliability? 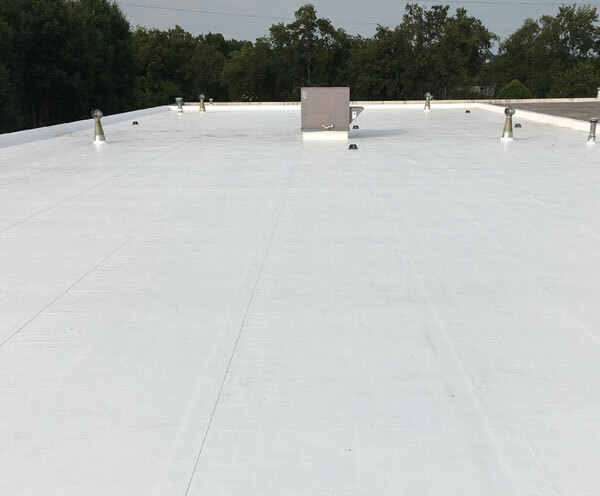 Whether you need to protect your roof for years to come or want a reliable roofing system for new construction, Conklin Roofing Systems' Flexion roofing systems offer the best value available. This system is installed in a series of overlapping layers, providing superior protection. The system is backed by multi-year warranties to ensure reliable protection for decades to come. Our rolled single ply membrane system offers outstanding protection against the elements - rain, snow, and hail. Plus, with a Class A fire rating, this system drastically outperforms traditional EDPM, making it the perfect choice for high-heat or flammable environments.